Each year, Orvis honors one of their endorsed wingshooting lodges for consistently delivering an exemplary hunting experience. The Orvis endorsement already represents the best of the best, so this award is truly a distinction. At Rio Piedra Plantation, we’re honored to say that we’ve not only won this award once, we’ve won it three times — a feat no other lodge has accomplished. Rio Piedra Plantation has become world renowned for superb Georgia quail hunts, excellent cuisine and fantastic accommodations. No other quail hunting plantation does it quite the same. And, most certainly, no one does it better. The unspoiled landscape- Long Leaf pine forests and majestic live oaks draped with Spanish moss along the Flint River- revives the essence of traditional South Georgia quail hunting first seen in the 1800’s. Experienced guides, remarkable dogs and hard flying birds bring this history and tradition to life in an unparalleled hunting experience. After the hunt, our attentive staff demonstrate what Southern hospitality means and why our guests often say Rio Piedra Plantation feels like home compared to other Georgia quail plantations. Good Georgia quail hunting is why everyone chooses to come to this hunting plantation for the first time. Great hunting, excellent dining and fantastic accommodations are why over 90% come back year after year. Learn more in the Shooting Sportsman article, The Business of Bobwhites, and why Rio Piedra ranks at the top of the list among Georgia hunting plantations. Rio Piedra offers an unparalleled quail hunting experience for three simple, yet unique, reasons. First, Rio Piedra is located in the geographic heart of the Plantation Belt, thus ensuring an abundance of quail derived from the short, but active, flight patterns between other quail hunting plantations in South Georgia. Second, our decades old commitment to habitat restoration and conservation has allowed game populations to thrive. Rio Piedra, along with surrounding private Georgia quail plantations, has restored the Long Leaf pine forests last seen over a hundred years ago. Unlike the dense canopies of live oaks and other hardwoods, longleaf pines allow some sunlight to reach the forest floor and thus ensure an abundance of thick ground cover. It’s this cover, wiregrass and broomsedge, that provides both the protection and food sources quail need to flourish. 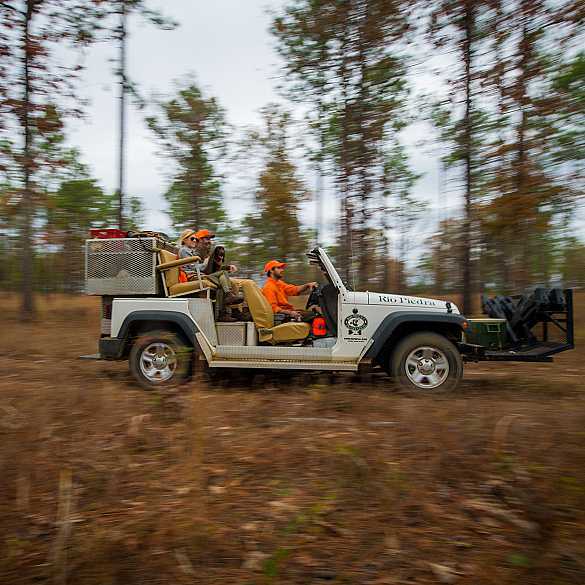 Ultimately, this quintessential habitat enables elevated quail populations and has led many to believe the heydays of bobwhite hunting are no longer in the past, but are now. Finally, our experienced guides strive to make every hunt memorable and safe. 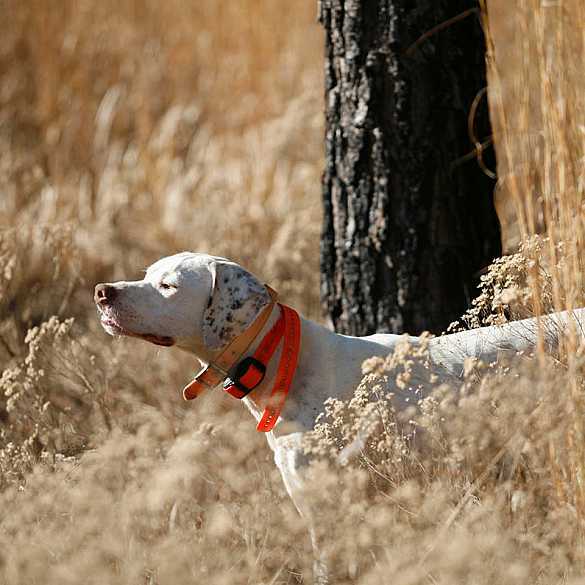 They, along with some of the best pointers, setters and English Cockers in the business, will ensure abundant shooting opportunities that challenge even the most veteran of hunters. Knowing that a great Georgia hunt is about more than just great hunting, we strive to create an atmosphere that completes the experience. Whether you’re having hors d’oeuvres and socializing with fellow hunters in the great room or connecting with old friends over cocktails by one of the many fireplaces, it will become clear Rio Piedra is unlike other Georgia quail hunting plantations. Cuisine prepared by our classically trained European chef, well appointed accommodations and an attentive staff focused on making you feel at home are some of the many reasons why Rio Piedra Plantation is an award winning South Georgia quail destination. Come to Rio Piedra Plantation, and you’ll find a Georgia quail hunting lodge that fuses tradition and modern amenities perfectly. 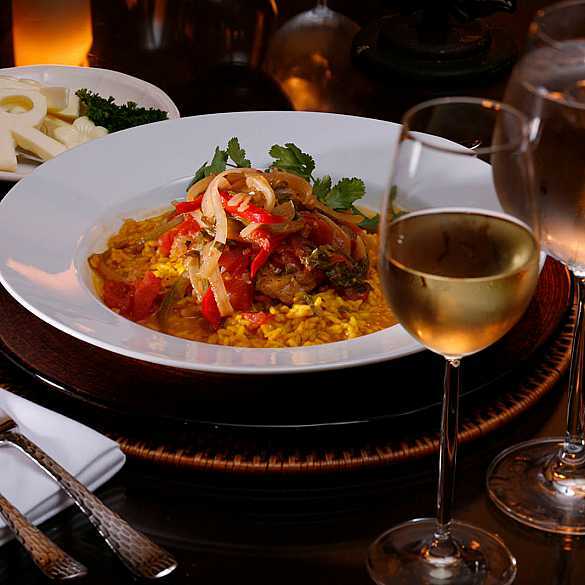 With plentiful quail, exceptional cuisine, and a knowledgeable staff, we promise that your stay at Rio Piedra Plantation will be unforgettable.